PROTON Holdings Berhad (PROTON) has shared their official statement to refute the recent image circulating on social media warning Proton owners to not jump-start certain Proton models as it will cause irreparable damage to the Transmission Control Unit (TCU). As logic and PROTON will tell you, all cars can be jump-started. However, just like other cars, Protons are also equipped with electronic systems which are sensitive to power surges. 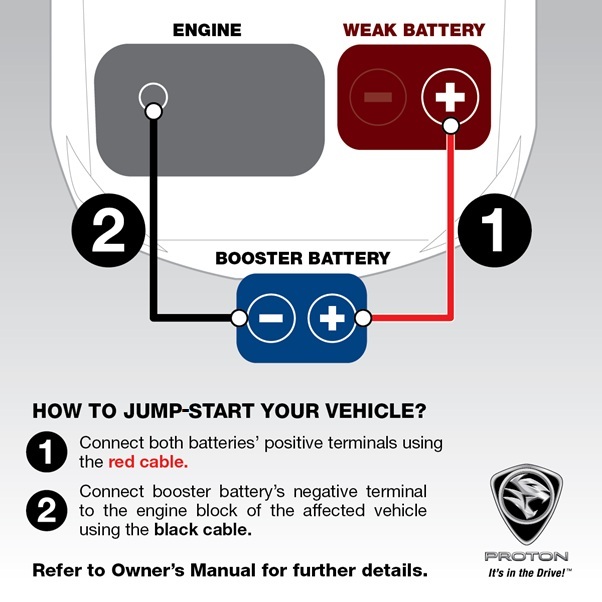 So here, PROTON has provided a more accurate guide to safely jump-start your car with jumper cables (this procedure can also be found in Proton’s Owner’s Manual, as well as that of most brands). The proper procedure to jump-start a car is to (1) connect the (+) battery from the assisting car to the (+) terminal of the battery of the affected car; (2) the (-) terminal from the assisting car must be connected to the body of the affected car (i.e. the car that needs to be jump-started), NOT to its (-) terminal. Both vehicles should be close enough so that the jumper cables can be connected, but NOT touching each other. If they are, it could cause an undesirable ground connection. It will not be possible to start the vehicle, and the bad grounding could damage the electrical systems (Transmission Control Unit, TCU). The assisting vehicle must have a 12-volt battery and the capacity (Ah) of the booster battery should not be significantly lower than that of the discharged battery, this is to avoid damage of circuit shorting both vehicles. Only use jumper cables with insulated battery clamps. Vehicle must be positioned in “P” (PARK) for automatic transmission and “N” (NEUTRAL) for manual transmission. Turn off the ignition on both vehicles beforehand. 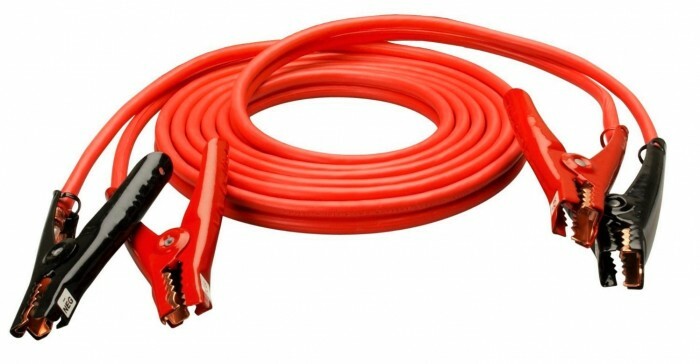 When connecting the booster cable, DO NOT connect the positive (+) cable to the negative (-) terminal or it can cause sparks and battery can explode. 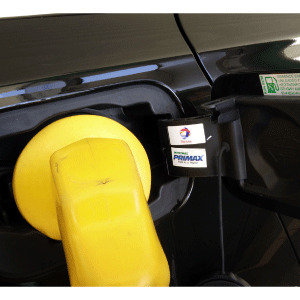 The negative jumper cable (black) must NEVER be clamped to fuel lines with metal sheath or to the fuel filter or brake lines as this could cause a fire. 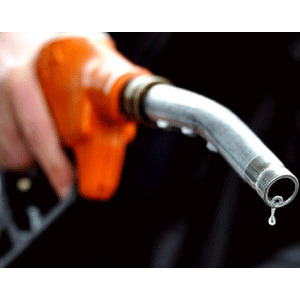 Start the engine in the vehicle, which has the booster battery, let the engine idle for a few minutes and then start the engine in the vehicle with the discharged battery. After the engine is started, disconnect the cables in reverse order. ALWAYS refer to your vehicle’s Owner’s Manual prior to performing any emergency start to the battery, for your own safety.